Friends who know me well often comment on my juvenile taste in candy. While I like dark chocolate, I love gummies-Haribo bears, Maynards wine gums, Sugarfina champagne bears and Sour Patch Kids are some of my favorites. But I’ve found a new gummy candy that I absolutely love-Starburst Gummies. 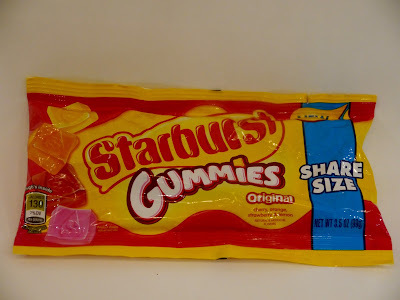 Starburst Gummies taste just like the four traditional Starburst flavors (Cherry, Lemon, Orange and Strawberry) but have a soft gummy bear texture. They’re absolutely addictive!